BlackBerry Ltd (NASDAQ:BBRY) was the subject of an impressive rally early in the week after reports emerged that Samsung had approached it about a possible acquisition. During an interview on CNBC, Jackdaw Research analyst, reiterated that there is some truth behind the rumors despite both companies shooting down the claims. “Just a few weeks ago we saw a partnership announced the first time between the two. Having been competitors for a long time, they signed a deal to allow Samsung smartphones to be managed by BlackBerry’s security infrastructure. […] That could have been potentially a first step on the road to a deeper partnership and potentially an acquisition, so there is some ring of truth to the rumors of this,” said Mr. Jan Dawson. 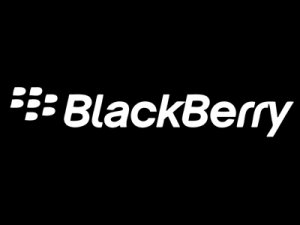 The analyst expects BlackBerry Ltd (NASDAQ:BBRY) to be the biggest beneficiary of a deal being inked in this case as the company is trading below its all-time highs. BlackBerry is looking to regain its past glory with more focus nowadays being paid on the software side of the business that has more than ones provided a lifeline to past woes. Dawson raised concerns as to whether the Canadian based company will ever be able to recapture its past glory with the ongoing push on the software side of the business. The analyst believes a potential merger with Samsung could take out all this uncertainty giving the company a new lifeline. For Samsung, it will be a relatively good deal according to Dawson as they will be acquiring a number of assets by paying a premium over the current share prices. Assets that are expected to be of great benefit in the push for the internet of things. A deal of $7.5 billion is rumored to have been proposed; made of IP’s and patents valued at around $1.4 billion. Dawson believes Samsung may borrow a leaf out of Google Inc. (NASDAQ:GOOGL) on acquiring BlackBerry by selling some of the assets and retaining some of the patents that are seen as valuable especially from the security aspect of the business. Probability of the deal going through may also be affected by the unwillingness of regulators in Canada, and the U.S approving it in the wake of increased cyber security threats. “That would be a huge concern with any acquisition and South Korea is a lot more palatable as a home for an acquirer than China. Lenovo obviously was another company that was thought for a while as a potential acquirer of BlackBerry Ltd (NASDAQ:BBRY); I think that deal will have almost no chance of going through. I think Samsung has a better chance, but there is still a stiff battle with an Asian company to own this asset that manages so much data for the U.S,” said Mr. Dawson.